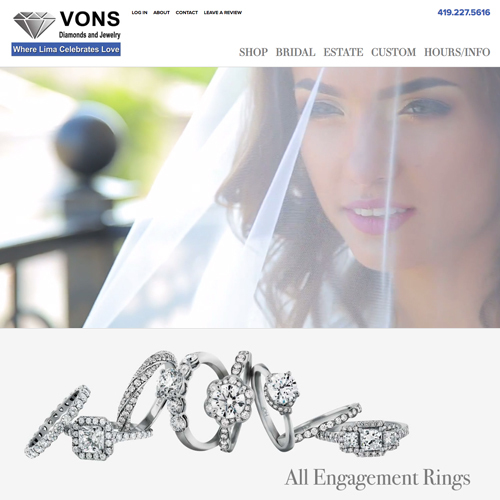 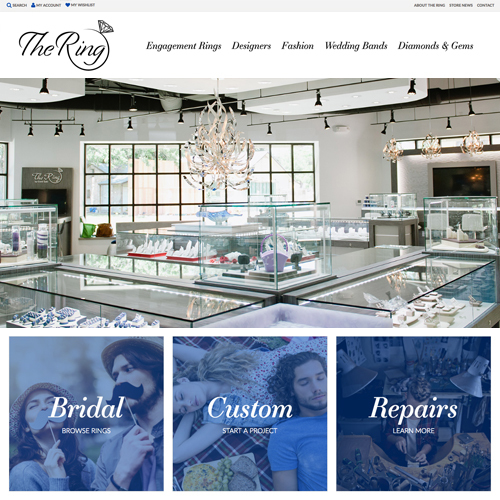 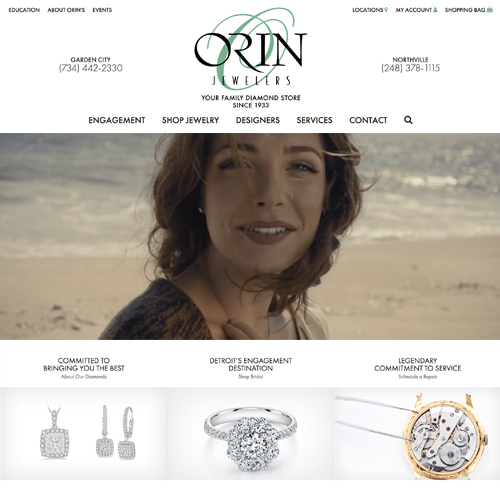 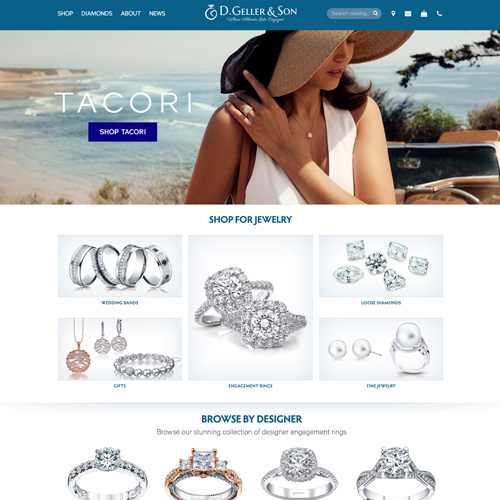 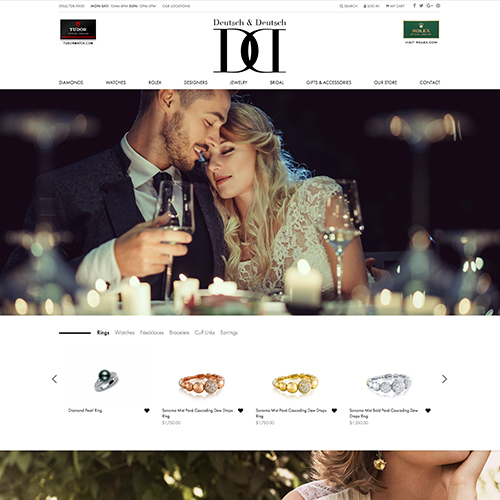 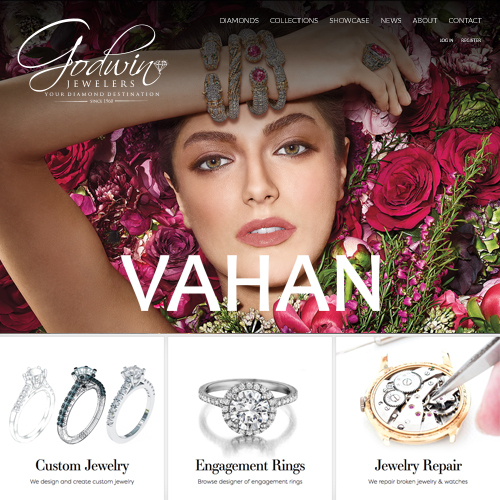 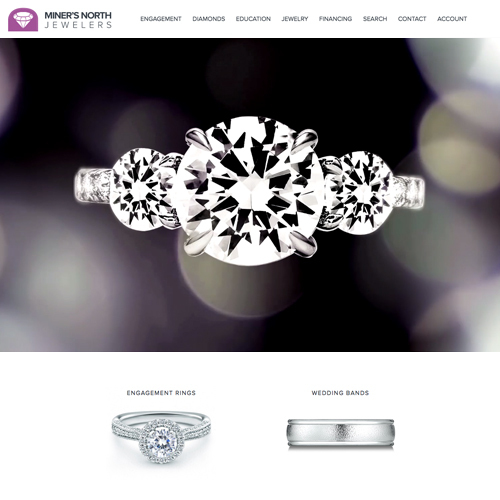 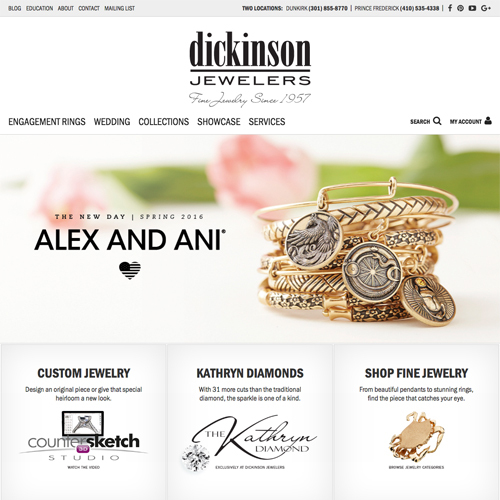 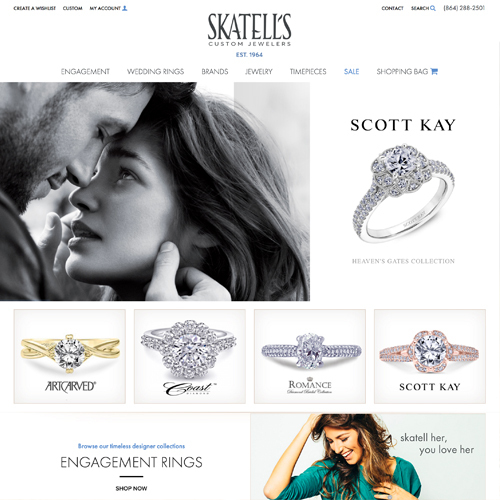 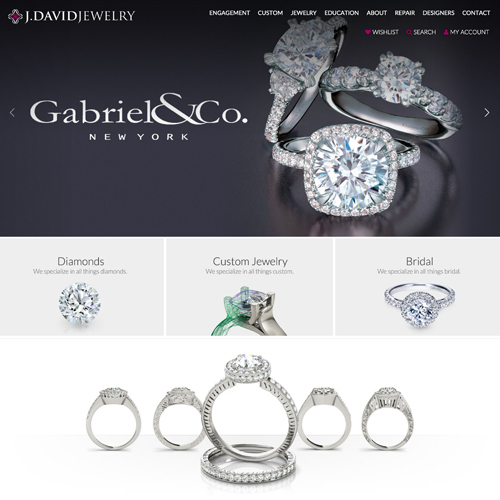 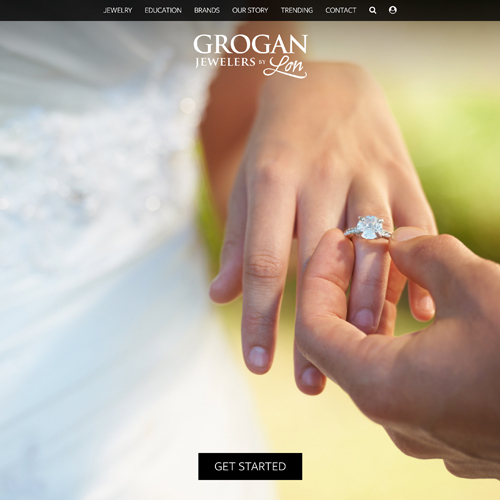 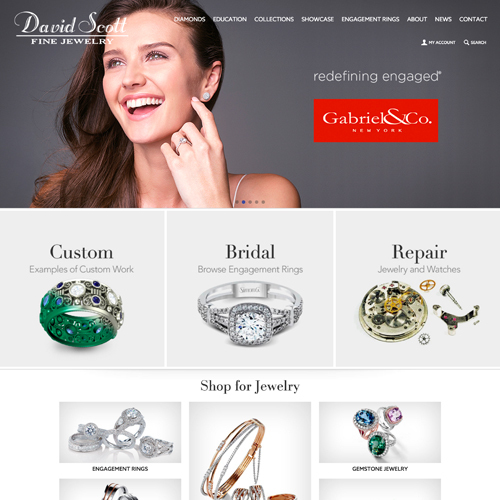 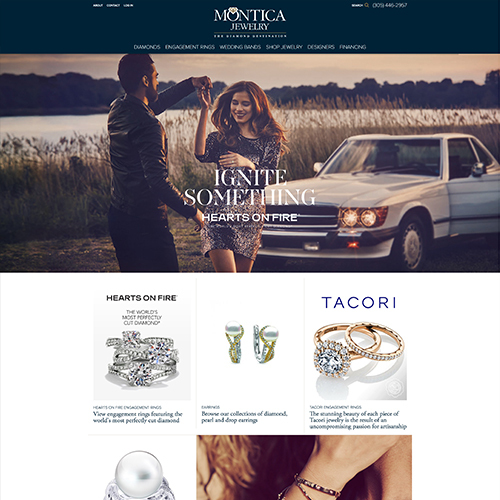 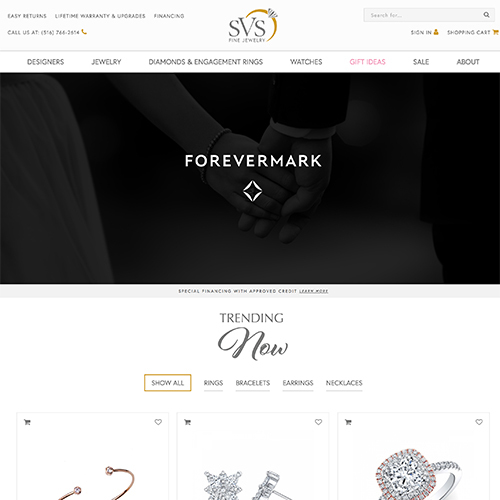 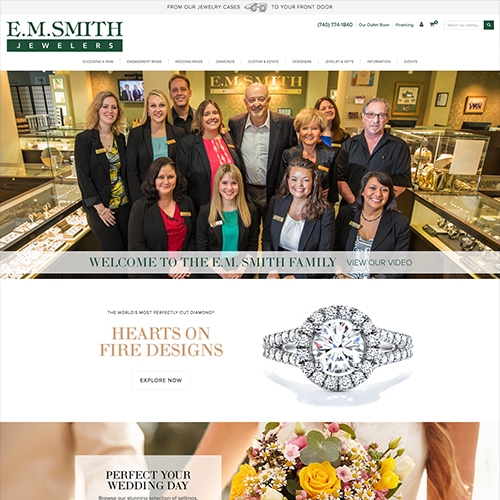 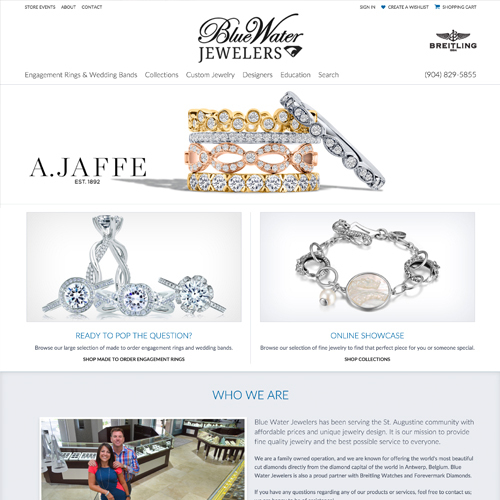 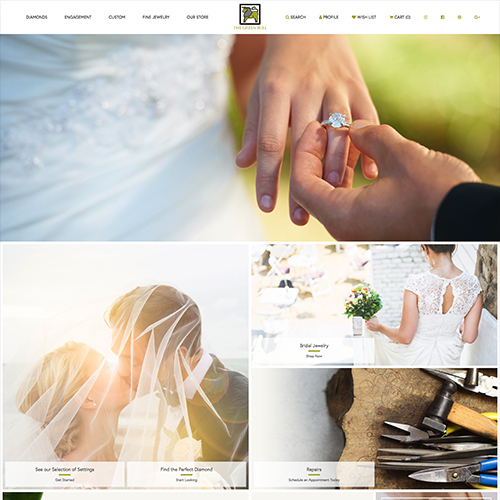 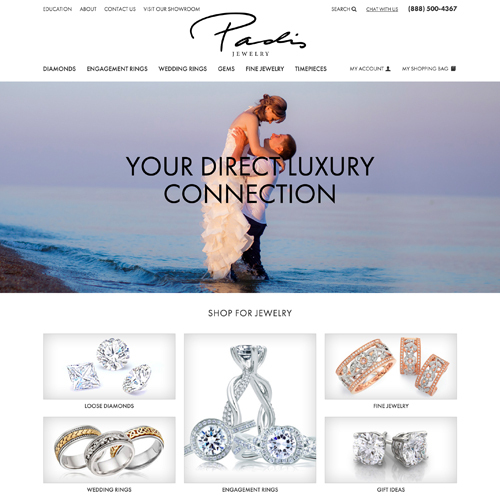 Miner's North Jewelers had a Custom Website with us since 2012, and they were due for a design upgrade. 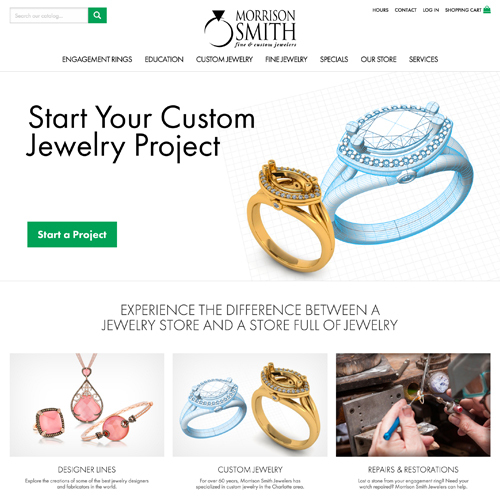 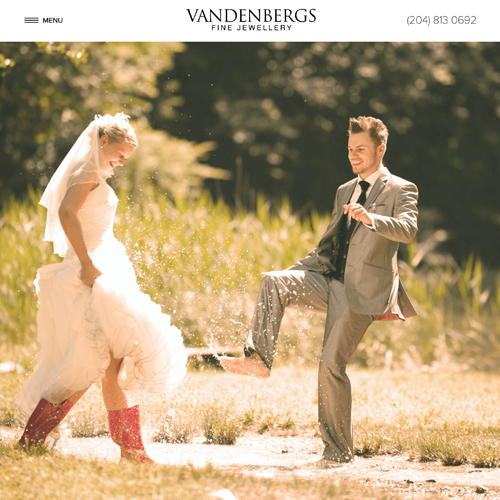 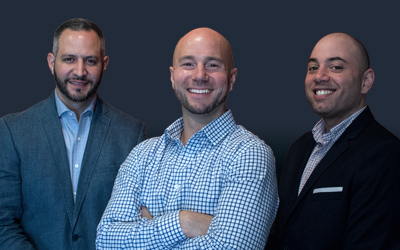 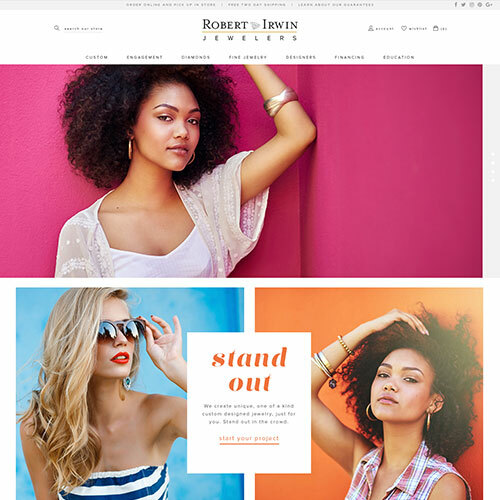 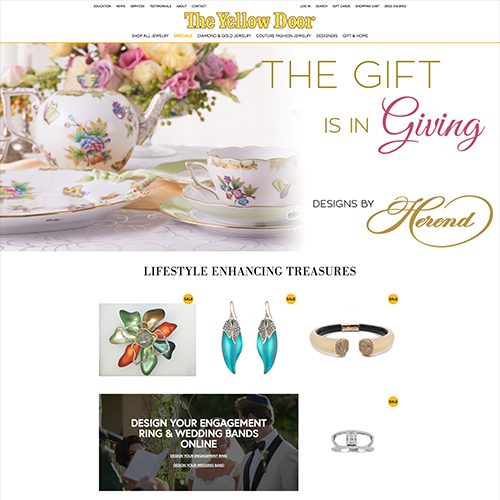 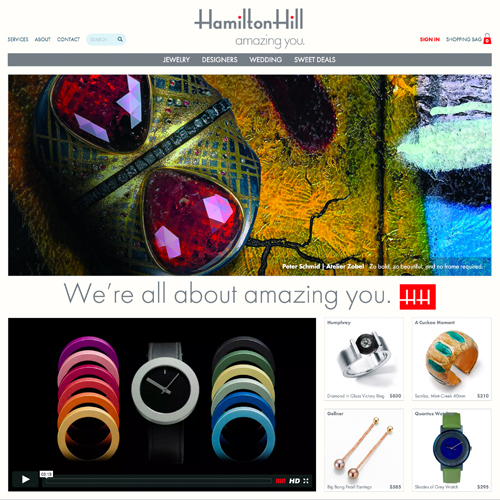 They wanted their new website to be simple, modern, and easy to navigate, and they wanted their customers to feel like the website is like an extension of their store. 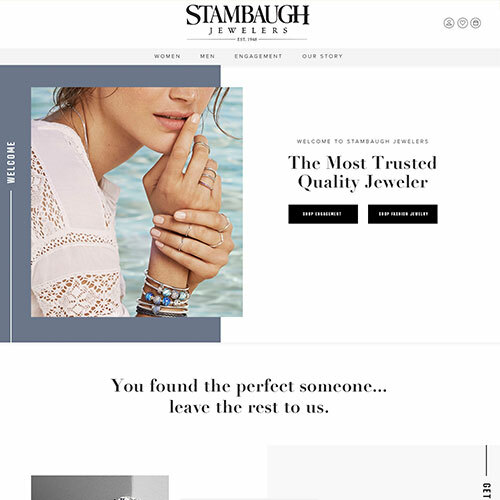 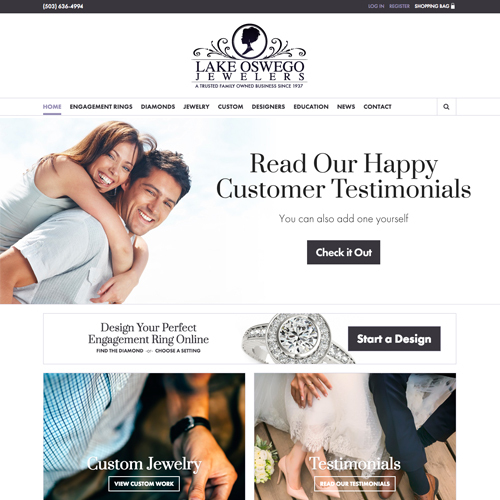 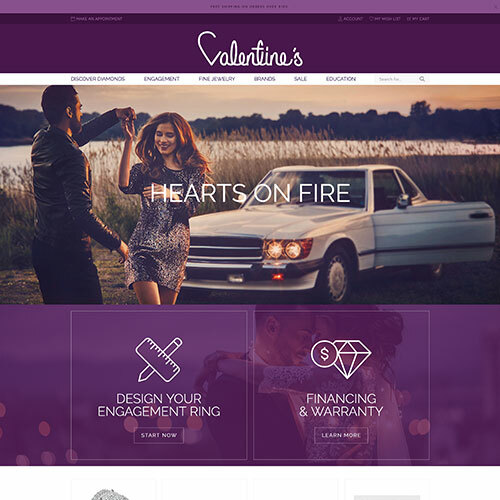 Since the store isn't very brand-focused, they wanted to highlight their own store as the central focus, with emphasis on their own brand, the Lakeshore Diamond Collection. 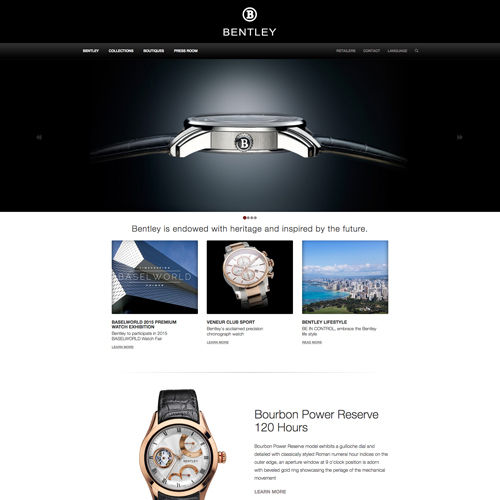 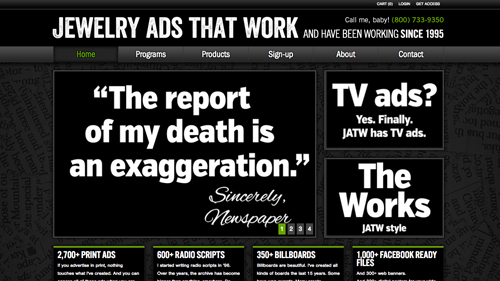 We designed a full-screen multi-panel homepage with a navigation that locks to the top bar.